MANILA, Philippines - Techblade.ph, the Philippines' leading online news journal now has a new publisher at its helm in the person of Zeno Martinez. 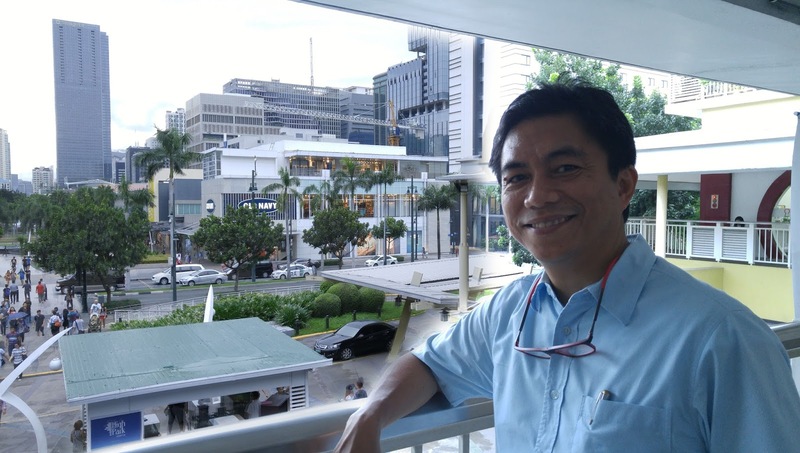 Martinez, who has an extensive background in events management dating back to the early days of CITEM and the World Food Expo, was deemed the best choice to head up the science journal. Techblade.ph, for those who have just come across the title is a news journal heavily steeped into Science, Technology, and Education. "There is a lack of reporting on science and education news in the Philippines today", says Martinez. "Most of the news reported on is all about politics, drugs, and lately, extra-judicial killing. However, unknown to the many Pinoys worldwide, we are achieving great strides in science and technology too", Martinez says. The difference also as Martinez pointed out is that when most publications or media report about science, the story is not reported properly simply because the reporter is not readily trained in science. "The exception of course would be if Atom Araullo reports science related news because Atom is an alumnus of Philippine Science High School", adds Martinez. Publishing Techblade.ph is more advocacy when one comes to think of it. In the same manner wherein communist countries train their athletes to become olympians as early as 3 years old, Martinez believes that the Philippines should start inculcating a science and technology mindset as early as Grade 1 - not just when they attempt to enter a Science High School. It becomes all the more relevant in view of the Fourth Industrial Revolution. Martinez says. "We stand on the brink of a technological revolution that will fundamentally alter the way we live, work, and relate to one another. In its scale, scope, and complexity, the transformation will be unlike anything humankind has experienced before. Filipinos have to be ready for it and the time to start is now". The First Industrial Revolution used water and steam power to mechanize production. The Second used electric power to create mass production. The Third used electronics and information technology to automate production. Now a Fourth Industrial Revolution is building on the Third, the digital revolution that has been occurring since the middle of the last century. It is characterized by a fusion of technologies that is blurring the lines between the physical, digital, and biological spheres. "Are we going to miss that boat? ", Zeno Martinez asks rhetorically. Zeno Martinez is an alumnus of the Philippine Science High School in Diliman, batch 1982. He was also involved in magazine publishing before during the time of Flip Magazine.